Jet Airways' fate hangs in balance with fast depleting sales and non-committal stance by Etihad Airways on fresh infusion of funds. On Monday, the airline's founder chairman Naresh Goyal wrote to staff seeking more time to finalise a resolution plan given its complexities. Goyal's email said he is still in talks with lenders and Etihad, but aviation sources indicated that he is looking for a new investor to keep the company afloat. On Tuesday morning, civil aviation minister Suresh Prabhu directed the department secretary to hold an emergency meeting on grounding of Jet's flights and asked for a status report. The delay in fund infusion is leading to massive cancellations and employees are increasingly losing confidence in management commitments. Travel agents too are becoming apprehensive about the future of the airline and a few corporate houses have asked their employees to follow discretion while booking Jet tickets. Jet insiders say its truncated schedule of 200 flights each day is not sustainable to meet expenses. 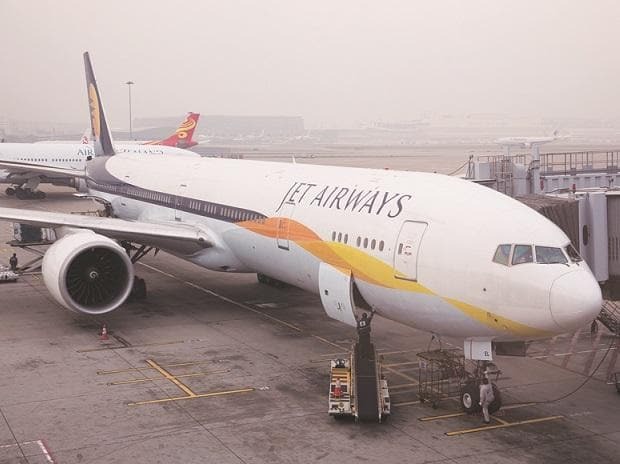 Amit Kelkar, vice president of Jet Aircraft Maintenance Engineers Welfare Association, wrote to the civil aviation ministry on Tuesday, stating that with repeated payment defaults, members had lost confidence in the management. The letter also warned of safety risks, as engineers were not getting paid. The National Aviators Guild which represents pilots is meeting this afternoon to decide its future course of action. Earlier this month, the union had written to labour minister Santosh Gangwar about pay delays. A section of employees however is still hopeful of a positive outcome over the course of the next few days. "Wait for a week. Things will improve," a senior executive said without indicating what help creditors would provide the airline or which investor would putt in funds at short notice. Jet continues to sell tickets for all flights for April and beyond and has not revised its schedule. "Last-minute sales are happening. It is not as if there are no sales at all," an executive said.